The kind of festivals you will witness in Japan, you will not witness anywhere else. The festivals celebrated differ from area to area and have something unique about it. Here is the list of 5 main festivals of Japan you should know about. GionMatsuri: The main attraction of the GionMatsuri festival is the grand procession of floats which are called ‘Yamaboko Junko.’ The festival takes place during the month of July and continues for the whole month. The procession is held on 17th and 24th July on the Oike and Kawaramachi Streets. Awa Odori: Awa Odori is the largest dance festival in Japan where men, women and even the children come together and dance on the streets of the Tokushima City. This grand traditional festival takes place on 12th August and lasts up to 15th People are participating in the dancewear a cotton kimono along with straw hats. The sight of the festival is simply spectacular. Kanda Matsuri: This festival is celebrated mainly for the Kanda Myojin Shrine.Mikoshi, the portable shrines are accompanied by thousands of people in the morning through the districts of Kanda, Nihonbashi, and Akihabara and returns back to Myojin the shrine in the evening. Yuki Matsuri: Yuki Matsuri is Japan’s snow festival which is celebrated in the Sapporo islands. The main attraction of the festival is the number of ice statues and structures. NebutaMatsuri: During this festival, people float nebuta lanterns which are designed in the shape of a human. The lanterns are accompanied by hundreds of chanting dancers. 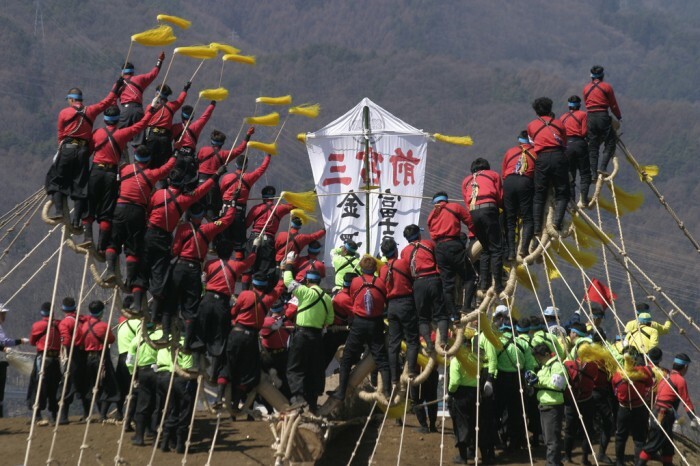 This unique festival takes place in the city of Aomori. If you want to witness these festivals, then plan your next trip to Japan. To know more about trips to Japan go through the Japan Fuji tour and Japan festivals tour.